This autumn, chefs across the country have been gathering to discuss why being a chef is a great career choice, and working together on how best to promote the profession to chefs of the future, and how to make the industry the best it can be. This will culminate in the launch of a new ‘Better Kitchen Workplace Charter’ on the 20th of November at an event in the offices of LinkedIn, Dublin. Chef Network Skillnet, the training arm of Ireland’s professional chef community Chef Network which represents over 3,000 chefs on the island of Ireland, has been hosting a series of Round Table events nationwide with industry professionals to brainstorm on how best to support chefs and retain talent within the sector, as well as discussing what they love about being a chef. Chef Network also held a one-day Student Industry Forum in IT Tallaght on the 6th of November, to get input from culinary arts students on how to tackle challenges in the sector, as well as connecting them with industry chefs to explore career opportunities and career progression. This work will culminate in their Kitchen Culture Seminar on Tuesday the 20th of November in the LinkedIn Offices, Dublin from 5:00pm to 7:00pm, followed by a food and drink reception by Gather&Gather. Those in the hospitality and foodservice industry are invited to join chefs to attend the seminar which will address key challenges within the sector, such as how to promote the industry, create a better workplace, and how to attract and retain chefs. Using the feedback from the Round Tables and Student Industry Forum, Chef Network have developed a ‘Better Kitchen Workplace Charter’ which will be launched at the Kitchen Culture Seminar. The charter will contain a set of principles for each kitchen team to adhere to, which will foster a working environment built on respect, learning and create a place where people are happy to come to work. Following the presentation of the ‘Better Kitchen Workplace Charter’, there will be a panel discussion with renowned chefs including Danni Barry, Domini Kemp and Chad Byrne, moderated by Irish food and farming journalist Ella McSweeney. The Chef Network Skillnet Kitchen Culture Seminar is taking place on Tuesday the 20th of November in the LinkedIn Offices, Dublin from 5:00pm to 7:00pm, followed by a food and drink reception by Gather&Gather. Book online at www.chefnetwork.ie/events. 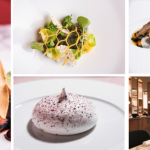 The cost is €25 for Chef Network Members and €50 for Non-Members. 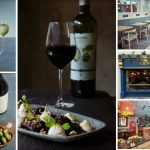 Chefs can sign up to Chef Network for free through the website www.chefnetwork.ie where they will also gain access to an online community where they can ask for advice, find and post jobs, and read blogs from other chefs on topics such as wellness, sourcing sustainably, experiences travelling & working abroad, and more. For more information about the Chef Network Skillnet events, see www.chefnetwork.ie or email info@chefnetwork.ie. You can follow @ChefNetworkIRL on Facebook and Twitter.